In a recent article written by Tim Chailles, "10 Lessons from 10 Years of Public Schooling," the author, blogger and book reviewer reminds us that, as Christians, we don't just send our children to public school, we send the whole family. Public schooling requires the participation of the entire family, including parents. We can't drop our children off at the door and assume they won't be impacted by the secular messages they receive there. We need to be proactive in making sure our children understand biblical worldview Biblical worldview refers to a person's beliefs about life through which a person interprets the world and interacts with it. A worldview is comprised by the answers to four basic questions (1) Who am I? (2) What is my purpose? (3) What is wrong with the world? (4) What is the solution? As Christians, our worldview is formed by the Bible. Through the Bible we learn that God exists (Heb. 11:6) and that He is the standard by which we measure everything else. God created everything that exists (Gen.1:1) and everything is held together by Him (Col. 1:17). We believe the Bible is God's divinely inspired Word, revealed to mankind (2 Tim. 3:16). We believe that the fullness of God came to earth and lived in the human body of Jesus Christ of Nazareth 2,000 years ago (Col. 1:19). We believe that mankind chose to rebel against God in the Garden of Eden and because of that act of rebellion, sin and death entered the world (Rom. 5:12-14). We believe that believing in (John 3:15-19, 5:24), and obeying (Luke 8:21, John 3:20-21, John 14:21, 23-24), Jesus Christ is the only way to have eternal life or to be reunited with God (Acts 4:10-12). and prepare them for the curriculum and messages that may conflict with that worldview. How Can You Support Your Student in the Public School? Pray for students and staff in your child's school. Be the first and loudest voice in your child's life and be intentional about teaching them from a biblical worldview Biblical worldview refers to a person's beliefs about life through which a person interprets the world and interacts with it. A worldview is comprised by the answers to four basic questions (1) Who am I? (2) What is my purpose? (3) What is wrong with the world? (4) What is the solution? As Christians, our worldview is formed by the Bible. Through the Bible we learn that God exists (Heb. 11:6) and that He is the standard by which we measure everything else. God created everything that exists (Gen.1:1) and everything is held together by Him (Col. 1:17). We believe the Bible is God's divinely inspired Word, revealed to mankind (2 Tim. 3:16). We believe that the fullness of God came to earth and lived in the human body of Jesus Christ of Nazareth 2,000 years ago (Col. 1:19). We believe that mankind chose to rebel against God in the Garden of Eden and because of that act of rebellion, sin and death entered the world (Rom. 5:12-14). We believe that believing in (John 3:15-19, 5:24), and obeying (Luke 8:21, John 3:20-21, John 14:21, 23-24), Jesus Christ is the only way to have eternal life or to be reunited with God (Acts 4:10-12). .
Get involved in your child's school in various roles (school boards, PTO, curriculum boards, classroom support). Build relationships with educators, administration and staff at your child's school, being aware of opportunities to share your faith. Research, understand and ask questions about the curriculum your child will be taught. Encourage and equip your child to share their Christian perspective on topics within the classroom, as well as with their peers. Teach them how to do this with gentleness and respect, 1 Peter 3:15. Encourage your child to start, lead, or participate in a student-led Bible study at school. Know who the Christian educators and other Christian families are within your school and take steps to create Christian community. Understand your child's rights as Christians within the public schools and be prepared to defend them. Be aware of legislation that threatens your student's First Amendment rights at school and take action as necessary. Partner with Compass as we show Christ's love by meeting your school's most basic needs through generous service. Compass strives to create Christian community within our public schools. This includes connecting Christian families there as well as connecting these families to Christian educators. As the Christian community comes together they can lift each other up in prayer as well as encourage each other to live out their faith. These partnerships can also create opportunities to share God's truth at school. Although teachers cannot establish religion in their classrooms, for instance, they can create and encourage opportunities for students to live and share their faith in the classroom in respectful and loving ways. If you are interested in connecting with other believers within your school, go to www.compasslink.org/Find-Christian-Community or contact Compass at compassinfo@compasslink.org to learn more. Proverbs 22:5 says, "Train up a child in the way he should go and when he is old he will not depart from it." Compass encourages parents to take seriously their leadership role at school and home. We strive to assure our parents are the first and loudest voices in their children's lives. The curriculum in the public schools can sometimes conflict with the biblical worldview teaching in our homes. It is important, as parents, that we understand the curriculum being taught to our children and be proactive in addressing any messages that may cause our children confusion. We provide biblical worldview Biblical worldview refers to a person's beliefs about life through which a person interprets the world and interacts with it. A worldview is comprised by the answers to four basic questions (1) Who am I? (2) What is my purpose? (3) What is wrong with the world? (4) What is the solution? As Christians, our worldview is formed by the Bible. Through the Bible we learn that God exists (Heb. 11:6) and that He is the standard by which we measure everything else. God created everything that exists (Gen.1:1) and everything is held together by Him (Col. 1:17). We believe the Bible is God's divinely inspired Word, revealed to mankind (2 Tim. 3:16). We believe that the fullness of God came to earth and lived in the human body of Jesus Christ of Nazareth 2,000 years ago (Col. 1:19). We believe that mankind chose to rebel against God in the Garden of Eden and because of that act of rebellion, sin and death entered the world (Rom. 5:12-14). We believe that believing in (John 3:15-19, 5:24), and obeying (Luke 8:21, John 3:20-21, John 14:21, 23-24), Jesus Christ is the only way to have eternal life or to be reunited with God (Acts 4:10-12). training, meet regularly to discuss challenges families are facing as well as help navigate them through these challenges. For example, biblical worldview Biblical worldview refers to a person's beliefs about life through which a person interprets the world and interacts with it. A worldview is comprised by the answers to four basic questions (1) Who am I? (2) What is my purpose? (3) What is wrong with the world? (4) What is the solution? As Christians, our worldview is formed by the Bible. Through the Bible we learn that God exists (Heb. 11:6) and that He is the standard by which we measure everything else. God created everything that exists (Gen.1:1) and everything is held together by Him (Col. 1:17). We believe the Bible is God's divinely inspired Word, revealed to mankind (2 Tim. 3:16). We believe that the fullness of God came to earth and lived in the human body of Jesus Christ of Nazareth 2,000 years ago (Col. 1:19). We believe that mankind chose to rebel against God in the Garden of Eden and because of that act of rebellion, sin and death entered the world (Rom. 5:12-14). We believe that believing in (John 3:15-19, 5:24), and obeying (Luke 8:21, John 3:20-21, John 14:21, 23-24), Jesus Christ is the only way to have eternal life or to be reunited with God (Acts 4:10-12). on topics such as evolution or homosexuality are very different than the secular worldview being taught at school. Compass wants to come along side you and help you effectively guide your child through these controversial areas so they can come out of school confident of what God has to say on these, and other, topics. Schools are desperate for volunteers at various levels. Parents are needed to fill positions on school boards, PTO boards, curriculum committees, as well as during the school days both inside and outside the classroom. Our involvement helps us impact the culture of the school, the kind of experience our child may have there and even the curriculum our children will be taught. Taking on a role, no matter how small, also gives us insights into red flags and Biblical instruction opportunities along the way. Our involvement at school fosters important relationships that are vital as we navigate the public school system. Building relationships with administration, teachers and other school staff is critical on this journey. These people have a major impact on your child during their time at school. Having established, positive relationships opens the door to effective communication as issues or concerns arise. It is important that we remember as we address these sometimes emotional issues, however, that God calls us to a higher standard in our interactions with others. Many well-meaning Christians have burned bridges by approaching their teachers and administrators in a confrontational way. This will not help you or your student. We encourage our parents to proceed with an attitude of "gentleness and respect," 1 Peter 3:15, always giving the teachers and administrators the benefit of the doubt and seeking to understand the whole situation before jumping to conclusions. Often issues can be resolved simply and easily and relationships can be strengthened if we, as parents, use a more respectful approach. Finally, as we get to know these administrators and teachers, we can look for ways to share Christ's love with them. Good News Clubs, a ministry of Child Evangelism Fellowship, has created the opportunity for teachers and parent to lead gospel centered bible studies within our public schools. The Gospel has been taught freely in public schools all over the world for some time and now children in the US have that opportunity as well. In 2001 the US Supreme Court ruled that these bible studies can meet in public schools in the US after school hours under the same terms as other community groups. Children attend Good News Clubs only with parent permission. Each week the leaders present an exciting Bible lesson using the colorful materials from CEF Press. This action-packed time includes songs, Scripture memory, a missions story and review games or other activities focusedon the lesson's theme. If God is leading you to start a Good News Club in your school contact GNC through their website http://www.cefonline.com/ministries/goodnewsclub/. The media is full of stories of children in our public schools being reprimanded for expressing their faith in various forms at school. It is important for us as parents to understand our student's rights so we can guide them and their teachers as these situations arise. A helpful resource outlining these rights, Free to Speak, is provided to us by Gateways to Better Education, http://www.gtbe.org/news/index.php/56.html. For a more comprehensive view of the government guidelines on religion and prayer in schools, see the Department of Education website at http://www2.ed.gov/policy/gen/guid/religionandschools/prayer_guidance.html? Another important update from this topic from CEAI https://ceai.org/2017/10/washington-education-watch-october-2017/. Prayer is crucial in the lives of our families. 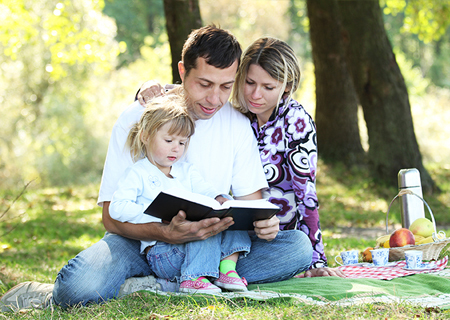 As parents, God calls us to pray regularly for our children and for the influences in their lives. As parents of public school children, praying not only for your children but for their teachers, administrators, classmates and other school staff is essential. Romans 12:12 says, "Be joyful in hope, patient in affliction, faithful in prayer." Compass meets weekly to lift up our schools and those within their walls. Compass also encourages involvement in an organization called Moms in Prayer. This organization gathers moms and grandmas to pray regularly for their students and individual schools. To see if your school has a MIP program or to start one go to www.momsinprayer.org. If you have children in the public school and would like more information, please contact Mindy Heine at compassinfo@compasslink.org.